It’s tough to imagine yourself on the ice as a Tyke or Novice player, but try to remember what it was like. From their point of view, standing on one end of the rink and looking down to the other can feel like the distance is almost miles away. Younger players become easily exhausted because the ice surface they play on is too big for where they are in their development. 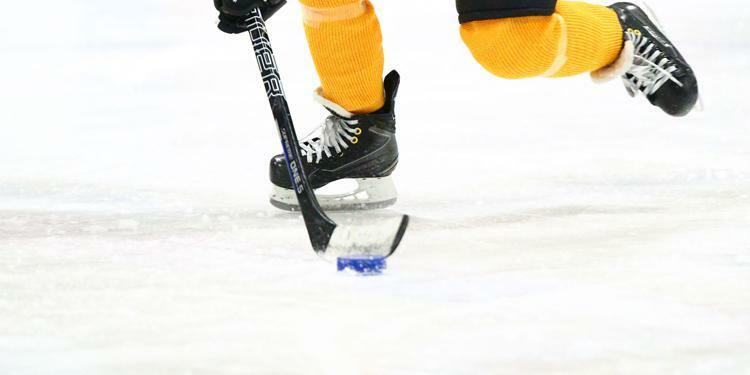 Some solutions to fix this are by using small-area or cross-ice games during practices, and there are many unique ways for coaches to implement these new elements. A player’s first introduction to the game of hockey needs to be in a positive, fun environment. The Initiation Program focuses on skill development without worrying about goals and standings. Players aged six and under can play in an age-appropriate setting. Small area games create more puck battles and touches for participants. They use lateral movements and transitional skating along with the lighter ‘blue puck’ and smaller nets. These cross-ice games give players more opportunities with the puck in a smaller playing surface. The numbers have shown that cross-ice hockey provides players with six times the amount of shots on net, five times more passes and twice as many one-on-one puck battles and touches. Small area games keep players engaged in the game without worrying about having the stamina to compete on a larger ice surface.